Viber is the FREE, simple, fast and most secure messaging andcalling app. The messenger of choice for over 1 billion usersworldwide! Text now for free and make high-quality crystal-clearphone calls. Viber is completely free. All you need is a data planor Wi-Fi connection and you’re good to go. Make free internationalcalls, send text messages, open a group chat, and so much more!Download Viber today to connect with people, no matter who theyare, or where they are from. Why is Viber the best messaging appfor you? Fully Synced Desktop and Tablet Apps Viber is fully syncedto your computer and laptop. You can see all your messages andcalls, and chat with them directly from your desktop or Androidtablet. Make Free Audio and Video Calls Make crystal-clear audioand instant video calls to friends and family for free! MakeLow-cost Calls to Landlines with Viber Out Call landlines,non-Viber users or anyone who doesn’t have an internet service or amobile phone with Viber Out’s low-cost international callingservice. Send Free Messages Staying in touch has never been easier.Send a free text message, share a photo, a sticker or GIF, a videoor any other file. Open a Group Chat Catch up with friends, familyand coworkers by opening a group chat for up to 250 members. Chatand Call with 100% Privacy Thanks to end-to-end encryption, anytype of information you share on Viber will always remain betweenyourself and the person you’re talking to. Any message you sendmakes its way from your device to the recipient’s in the form of anencrypted code that only their device can translate to plain textusing an encryption key. Encryption keys exist only on user devicesand nowhere else. So, no one — not even Viber — can read yourmessages. Self-Destruct Your Secret Chats Start a Secret Chat whichwill let you set a self-destruct timer for every message in yourconversation so that after your message is read, it’s automaticallydeleted from your recipient’s phone. Express Yourself with GIFs andStickers Words can only say so much! Express your every emotionwith over endless of GIFs and over 35,000 stickers from the ViberSticker Market. Start a Viber Community with Unlimited Members Nomatter what you’re interested in, you can now start your own ViberCommunity! Interact with an unlimited number of people, about ashared topic or passion. Enjoy more admin controls than ever beforeas well as new conversation features in a unique chat space whereyou get to call all the shots. Enrich Your Conversation with ChatExtensions Spice up your conversations with a variety of usefulChat Extensions including easy access to your favorite links, GIFsand videos, Yelp, YouTube, Booking, Spotify and more. Viber OutSubscriptions are a bundle of minutes to call a specificdestination, which are purchased in-app and renew monthly or weeklydepending on your plan. If you subscribe via play store, paymentwill be charged to your account when the purchase is confirmed.Subscriptions automatically renew unless auto-renew is turned offat least 24 hours before the end of the current period. YourAccount will be charged for this renewal up to 24 hours before theend of the current period at the rate of your selected plan. Youcan manage your subscription and turn off auto-renewal at any timeby going to your Play Store Account settings on your device. And somuch more: * Mention friends in a group so they don’t miss out onanything * Broadcast messages to multiple contacts * Pin messagesto the top of your group’s screen * Reply to any specific messagewithin a group chat * Share your location * Exchange contacts withfriends Viber is part of the Rakuten Group, a world leader ine-commerce and financial services. 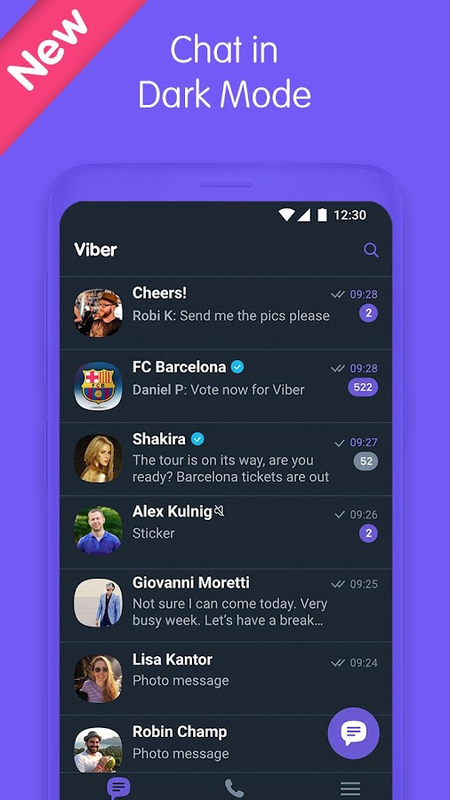 Install Viber Free Messenger Nowand Start Connecting! DOWNLOAD VIBER BACKGAMMON FOR FREE! The #1backgammon game has hit Viber! Roll the dice with friends from allover the world in places where backgammon is called different,exotic names, such as dado, acey, duecy, baraoyun, tric, trac,tavla, tabula, tapa and even shesh-besh! Play anytime, anywhere, inREAL-TIME with just the click of a button!By playing backgammon online you will learn proper backgammonrules and improve your backgammon strategy. With the easiestbackgammon setup, the most organized backgammon rules, and thelargest backgammon community in the world to consult with, you'llbe well on your way to becoming the world’s best backgammon player!Are you up for the challenge? Get in the game and go for thegammon!With beautiful backgammon boards representing cities around theworld, you will travel far and wide to the most exotic locationsonline backgammon has ever seen!Features:• FREE COINS DAILY: Collect your bonus every day• FREE GIFTS: Send, receive, and unlock dice sets, lucky mascots,blessings and more• ROLL WITH STYLE: Choose from a huge variety of dice sets topersonalize your game• SHAKE UP THE COMPETITION: Get dice shaker cups for an even morelife-like experience• INSTANT WORLDWIDE PLAY: Choose a board and play an opponent inreal-time• BEAUTIFUL AND UNIQUE BOARDS: Unlock striking backgammonboards• BECOME A BACKGAMMON MASTER: Gain XP, level up, and climb theleaderboards• PLAY NITRO: Keep your opponents on their toes by making your movein 20 seconds or lessDOWNLOAD VIBER BACKGAMMON NOW FOR FREE! DOWNLOAD VIBER WONDERBALL FOR FREE! Join theViber gang on their bouncy journey to Wonderland in this pachinkopinball style puzzle game!Bounce through hundreds of levels as you unlock exciting newworlds and compete with your Viber friends to see who can get thehighest score!How to Play: Swipe to aim and tap to shoot all the red pegs. Outof lives? Request more from your Viber friends!Features:• Blue pegs unleash special power ups• Each ball you get in the bucket rewards you with an extramove• Special combo-shots reward you with bonus points and freeballs• Easy to play, challenging to master• User boosters and special power ups help you through challenginglevels• Compete with your Viber friends and reach the top of theleaderboards!Enjoy our shooter pachinko pinball style puzzle game! DOWNLOADNOW FOR FREE! Match the juicy fruit into lines of 3 through 500+ challenginglevels in this delicious puzzle adventure. Download Viber FruitAdventure now! Dip your fingers into the best juicy fruit maniagame ever made by challenging and competing against your Viberfriends inside the game to get rewards! You won’t put it down onceyou’re started! Take yourself on a wild journey and experience amatch 3 adventure with fruity delights in the Kingdoms of Orange,Lemon, Cherry and other succulent fruit. A never-ending game, withnever-ending fun and fresh quests every day! Features: -Well-knownmatch 3 gameplay with a fruity twist -Fresh and juicy design-Compete against your Viber contacts -Plenty of delicious Kingdomsto explore -Dozens of Boosters -500+ levels - each one uniqueIndulge your craving for delicious fruit! Download Viber FruitAdventure! DOWNLOAD VIBER RUDE RIDER FOR FREE!Got a need for speed? Viber Rude Rider is a free-to-play actionpacked racing and shooter arcade game.“Move over, loser!”Expect sarcasm, taunting, and insults from Rudy, the crazydriver.“Get off the road, Grandma!”How to Play:Collect as many Coins as you can as you race through traffic andblow up other cars and obstacles in your way. Use Coins and Gems toupgrade your car and Weapons.Features:• Collect Coins while shooting any and all obstacles in yourway!• Customize your car: use Coins and Gems to upgrade Boosters,Weapons, and Shields!• Collect Boosters to drive at super-speed, get more Coins, doubleXP, and more!• Compete with your Viber friends! Race to the top of theLeaderboard!• Complete Challenges and win extra Gems!• Come back every day for your Daily Bonus Keys!Compete in the King's Race and collect King Coins to shoot upthe rankings. The further you race ahead and the more King Coinsyou collect, the better your score will be and the more Gems youwill win. Compete with your friends and the world as a whole to becrowned the ultimate champion, the King of the Road.Enjoy the rudest, crudest racing shooter game around!DOWNLOAD NOW FOR FREE! DOWNLOAD VIBER DEFENDERS FOR FREE! 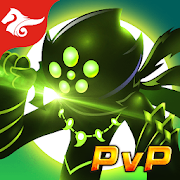 Join the battle and defend yourtowers against the enemies! Features: 60 furious tower defensebattles across three worlds! Fearless heroes – Fox, Goblin, Robotand Necromant – will reinforce your defense! 6 basic towers with adozen of improvement options! Turn your tower into a lethal defenseweapon! Profitable mines and stone quarries! Provided that you havethe nerve to seize them, of course… Special “Mega Cannon” – a giftfrom a friend that turns enemies dead! Log in via Viber and askyour friends for this exclusive weapon! Do help your friends aswell! Special Airborne Goblin Squad is always ready to help! UniqueGoblin Magic! Turn the enemy into bloody mess! Super intensesurvival mode Arena! Respect and valuable prizes for the mostenduring defenders is on the house! Play the best tower defensegame! DOWNLOAD NOW FOR FREE! Pure instant messaging — simple, fast, secure, and synced acrossall your devices. Over 200 million active users in four years.FAST: Telegram is the fastest messaging app on the market,connecting people via a unique, distributed network of data centersaround the globe. SYNCED: You can access your messages from allyour devices at once. Start typing on your phone and finish themessage from your tablet or laptop. Never lose your data again.UNLIMITED: You can send media and files, without any limits ontheir type and size. Your entire chat history will require no diskspace on your device, and will be securely stored in the Telegramcloud for as long as you need it. SECURE: We made it our mission toprovide the best security combined with ease of use. Everything onTelegram, including chats, groups, media, etc. is encrypted using acombination of 256-bit symmetric AES encryption, 2048-bit RSAencryption, and Diffie–Hellman secure key exchange. POWERFUL: Youcan create group chats for up to 200,000 members, share largevideos, documents of any type (.DOC, .MP3, .ZIP, etc. ), and evenset up bots for specific tasks. It's the perfect tool for hostingonline communities and coordinating teamwork. RELIABLE: Built todeliver your messages in the minimum bytes possible, Telegram isthe most reliable messaging system ever made. It works even on theweakest mobile connections. FUN: Telegram has powerful photo andvideo editing tools and an open sticker/GIF platform to cater toall your expressive needs. SIMPLE: While providing an unprecedentedarray of features, we are taking great care to keep the interfaceclean. With its minimalist design, Telegram is lean and easy touse. 100% FREE & NO ADS: Telegram is free and will always befree. We are not going to sell ads or introduce subscription fees.PRIVATE: We take your privacy seriously and will never give thirdparties access to your data. For those interested in maximumprivacy, Telegram offers Secret Chats. Secret Chat messages can beprogrammed to self-destruct automatically from both participatingdevices. This way you can send all types of disappearing content —messages, photos, videos, and even files. Secret Chats useend-to-end encryption to ensure that a message can only be read byits intended recipient. We keep expanding the boundaries of whatyou can do with a messaging app. Don’t wait years for oldermessengers to catch up with Telegram — join the revolution today. Skype keeps the world talking. Say “hello” with an instant message,voice or video call – all for free*. Use Skype to send SMS messagesto mobiles worldwide and with SMS Connect you can now also read andreply to your phone's SMS messages right from your computer. SMSconnect will be released gradually. • Video calls – Don’t just hearthe cheers, see them! Get together with 1 or 24 of your friends andfamily on a HD video call. Watch everyone’s smiles and cries whenyou tell them “We’re engaged!!!" • Chat – Reach people instantly.Send messages to your friends, grab someone’s attention with @mentions, or create a group chat to plan a family reunion. • SMSConnect - Read and reply to your phone's SMS messages in Skype onyour PC or Mac. • Share – Send photos and videos with your familyand friends. Save shared photos and videos to your camera roll.Share your screen to make travel plans with friends or presentdesigns to your team. • Voice calls – Camera shy? Make voice callsto anyone in the world on Skype. You can also call mobile andlandlines at low rates. • Express yourself – Liven up conversationswith emoticons, click on the “+” in chat to send a Giphy or imagesfrom the web, and annotate images with words, lines and more. Bydownloading the Skype Preview, you’ll gain early access to ournewest and coolest features. Of course, while you’re having fun,know that this app is a work in progress. We're hoping to get yourvital feedback as we add new enhancements and features to Skype.Simply click the heart icon on the main screen and you will be ableto send your comments to our team, helping us shape the future ofSkype. Skype is available on phones, tablets, PCs and Macs. *Skypeto Skype calls are free. Operator data charges may apply. Werecommend using an unlimited data plan or WiFi connection. WeChat is more than a messaging and social media app – it is alifestyle for one billion users across the world. Chat and makecalls with friends, read news and use local services in OfficialAccounts and Mini Programs, play games with friends, enjoy mobilepayment features with WeChat Pay, and much more. Why do one billionpeople use WeChat? • MORE WAYS TO CHAT: Message friends using text,photo, voice, video, location sharing, and more. Create group chatswith up to 500 members. • VOICE & VIDEO CALLS: High-qualityvoice and video calls to anywhere in the world. Make group videocalls with up to 9 people. • REAL-TIME LOCATION: Not good atexplaining directions? Share your real-time location with the pressof a button. • MOMENTS: Never forget your favorite moments. Postphotos, videos, and more to share with friends on your personalMoments stream. • TIME CAPSULE (NEW! ): Share glimpses of your day.Record short videos to post in your Time Capsule before theydisappear in 24 hours. • STICKER GALLERY: Browse thousands of fun,animated stickers to help express yourself in chats, includingstickers with your favorite cartoon and movie characters. • CUSTOMSTICKERS (NEW! ): Make chatting more unique with custom stickers andselfie stickers. • OFFICIAL ACCOUNTS: Tons of accounts to followwith original content and news for your reading pleasure. • MINIPROGRAMS: Countless third-party services all within the WeChat appthat don’t require additional installation, saving you preciousphone storage and time. • TOP STORIES: See the latest articles yourfriends are reading and discover all kinds of interesting content.• GAMES: Have fun and compete with friends in a huge selection ofWeChat Mini Games and Tencent Games (available in certain regions).• WECHAT PAY: Enjoy the convenience of world-leading mobile paymentfeatures with WeChat Pay and Wallet (available in select regions).• WECHAT OUT: Make calls to mobile phones and landlines around theglobe at super low rates (available in select regions). • LANGUAGESUPPORT: Localized in 20 different languages and can translatefriends’ messages and Moments posts. • BETTER PRIVACY: Giving youthe highest level of control over your privacy, WeChat is the onlymessaging app to be certified by TRUSTe. Opera Mini is a lightweight and safe browser that lets you surf theInternet faster, even with poor Wi-Fi connection, without wastingyour data plan. It blocks annoying ads and lets you easily downloadvideos from social media, all while providing you personalizednews. Top features • Save data - Save 90% of your data and browsefaster even on slow networks with our famous compression modeswithout breaking your browsing experience. • Block ads - Opera Minihas a built-in ad blocker so you can surf the web without annoyingads. • Personalised news - Catch up on trending news speciallytailored for your interests with our rebooted news feed within theOpera Mini browser. • Video download - No time to watch videos? Noproblem. Tap the new download button and watch them when you'reready. • Smarter downloads - Download files in the background andhold off downloading large files until you’re back on Wi-Fi. OperaMini will let you know when your downloads are complete. Just clickthe notification to open your download – no more digging around infolders. • Browse privately - Use private tabs to browse incognitoand keep your secrets from others without leaving a trace on yourdevice. • Tab gallery - Keep several pages open at once with tabsand easily navigate between different tabs. Other great stuff •Night mode: Dim the screen to save your eyes when reading indarkness. • Save your favorite sites: Tap the + button on thesearch bar to save a page to your Speed Dial, add it to your mobilebookmarks, or store for offline reading. • Sync your devices: Giveyourself access to all the bookmarks, Speed Dial shortcuts, andopen tabs from your other devices. • Switch up your search: Assignyour favorite default search engine. Download Opera Mini and tryone of the fastest ways to browse the web on your mobile device. Tolearn more about the specific permissions Opera Mini uses, pleasevisit the follow page:http://www.opera.com/help/mini/android/permissions Do more withOpera: https://www.opera.com/mobile/android Opera may show ads fromFacebook. To learn more, see https://m.facebook.com/ads/ad_choicesKeep in touch: Twitter – http://twitter.com/opera/ Facebook –http://www.facebook.com/opera/ Instagram –http://www.instagram.com/opera Terms & Conditions: Bydownloading this application, you are agreeing to the End UserLicence Agreement at https://www.opera.com/eula/mobile. Also, youcan learn how Opera handles and protects your data in our PrivacyStatement at https://www.opera.com/privacy.